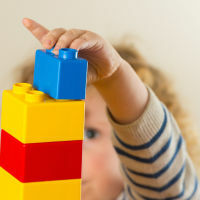 A higher IQ in childhood is linked to a longer life, research suggests. Having a higher IQ has more benefits than simply being smart, according to a new study. Researchers at the University of Edinburgh say as well as being clever, those with a higher IQ could also potentially enjoy longer lives. Anyone enjoying a longer life can enjoy their holidays with peace of mind with seniors travel insurance. The team found people had less of a chance of dying before the age of 79 from conditions like heart disease and stroke if they had a high IQ. The findings also applied to cancer. Anyone who has suffered from cancer in the past can arrange specialist medical travel insurance should they need to travel abroad. The findings were based on data gathered over the lifetimes of thousands of men and women born in Scotland in 1936. The experts found a lower risk of death until 79 years was associated with higher childhood intelligence. Professor Ian Deary of the University of Edinburgh, who led the research, said: "I'm being optimistic about these results. "I'm hoping it means that if we can find out what smart people do and copy them, then we have a chance of a slightly longer and healthier life. "We don't fully know yet why intelligence from childhood and longevity are related, and we are keeping an open mind. "Lifestyles (eg not smoking), education, health literacy, less deprivation, and genetics might all play a part. We and other research teams are testing these ideas."